New York City — Blockchain has been hailed as a technology capable of transforming our way of life — the way we bank, donate, register land, store identifications, and organize our lives. Inspired by the ideal of a self-sovereign, peer-to-peer digital world, blockchain enthusiasts want to grant more agency to the individual. Today, many experts also wonder whether distributed ledger technologies (DLTs), like blockchain, have the potential to transform humanitarian response, helping us to protect and serve people with more dignity, effectiveness, and protection. Humanitarians, once reluctant to be involved, have viewed the untested, disruptive, and unregulated nature of blockchain technology with suspicion. While skepticism still lingers, we have seen the humanitarian community begin to partake in information sharing, research and investment, and deeper dialogue about a future humanitarian blockchain system. 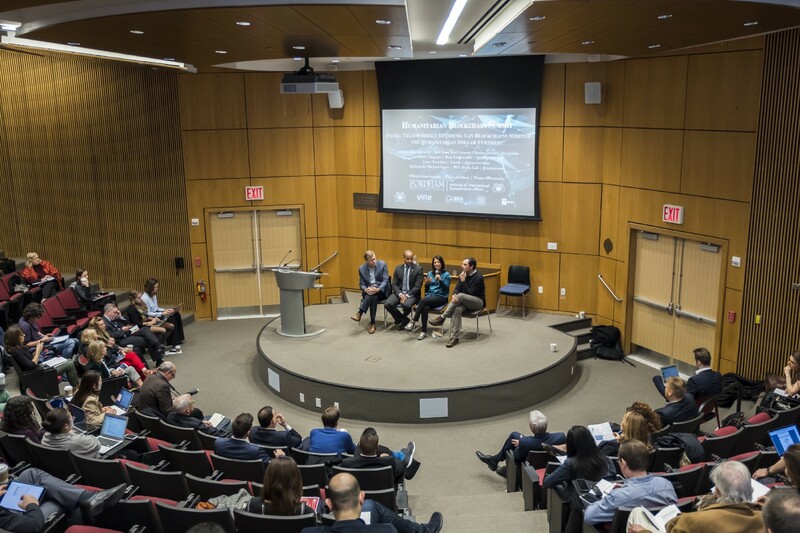 At the Humanitarian Blockchain Summit at Fordham University this past November, we brought together hundreds of experts to discuss pilot blockchain initiatives and consider the real-world potential of blockchain in the humanitarian sector based on lessons learned so far. Over the course of one day and over 20 panels, speeches, breakout sessions, and workshops involving humanitarians and technologists alike, it became increasingly clear that the groundwork for this system has been laid. The institutions testing these solutions continue with strong impetus. Ultimately, the Summit posed more questions than answers: Could more people access life-saving capital or healthcare services in a crisis faster on a blockchain than with traditional aid? Could stateless or displaced persons be granted a sovereign, secure and internationally-recognized identity in line with protection principles? And, most importantly, must there be one ethical framework to which all humanitarian blockchain projects adhere? In tackling these questions, humanitarians and crypto-enthusiasts are exploring how blockchain may be adapted and applied to meet the continually increasing needs and shrinking resources of the humanitarian sector. The Summit offered a unique opportunity to highlight some of the many pilot projects. In contexts where severe political crises or conflicts have eroded the formal economy, national currencies, and state institutions (e.g. Libya, Venezuela, or Yemen), distributed ledger technologies and cryptocurrencies could keep businesses open, guarantee salaries are paid, and ensure essential basic services are provided. For example, in the absence of a secure banking system or access to regular humanitarian aid in Venezuela, the Smart Cash community created an online platform using blockchain to overcome hyperinflation and mitigate food insecurity for local communities. In Europe, where an estimated half a million children lack identification and are susceptible to human trafficking, blockchain could help trace, fight, and even prosecute traffickers. This new anti-trafficking project is being explored in a Global Challenge by the United Nations Office for Project Services, the U.N. Office for Information and Communications Technology, and the World Identity Network in partnership with the Moldovan government. Handshake, in partnership with the UN Migration Agency (IOM), is testing smart contracts on an online blockchain platform that would ensure safe and just labor conditions to over 150 million migrant workers worldwide — starting with migrant workers from the Philippines. In addition to these, the Summit also offered an opportunity to launch other independent initiatives, like the UNICEF Innovation Fund Call for Blockchain. 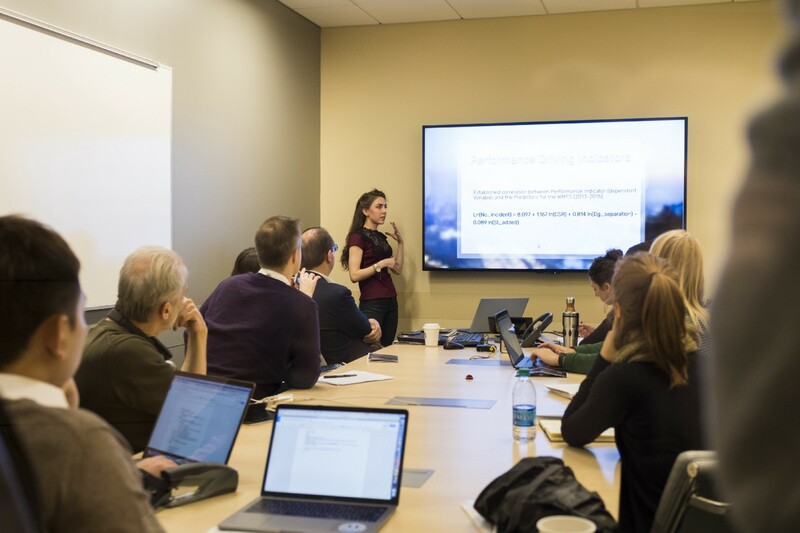 This January, UN Women also hosted a Blockchain Simulation Lab that brought other blockchain applications to the fore, such as: SPENN’s ewallet that can be used in informal refugee economies; Accenture’s digital ID system for refugees; and IDBox Village’s direct donation system. 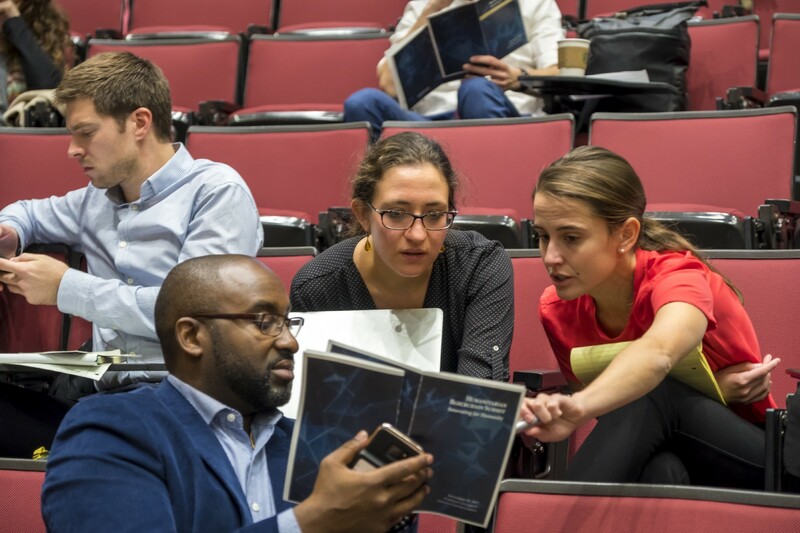 The Institute of Electrical and Electronics Engineers (IEEE), and the Beeck Center for Social Impact + Innovation at Georgetown University, championed a call for shared technical and operational frameworks, data protection mechanisms and human rights due diligence assessments. While the former stressed the need for adequate standards to be developed before applications of blockchain can truly scale, the latter discussed the need for a Blockchain Ethical Design Framework that would encompass actionable strategies for the responsible development and implementation of blockchain. Both the tech and humanitarian communities have the opportunity to devise these rights-based policies and frameworks that mitigate protection risks and follow a more principled and responsible route. That is — a secure and equitable blockchain system that is transparent to the public, and especially to those typically left at the margins. Additionally, the full incorporation of distributed ledger systems may require humanitarians and donors to reform their own modus-operandi and core governance — including financial, human resources, and procurement systems. Instead of fueling the pilot fever, pursuing structural changes will allow us to achieve an integrated, distributed, and interconnected management system for humanitarian operations, without the usual bureaucracy and inefficiencies. Academic institutions also play an important role and should continue to provide the neutral, technical expertise necessary for impact in aid delivery and compatible with the humanitarian governance model. Given the complexity of the topic and the risks involved, their role is of paramount importance to avoid aid organizations basing their choices mostly on extremely technical pitches and the attached price tag. 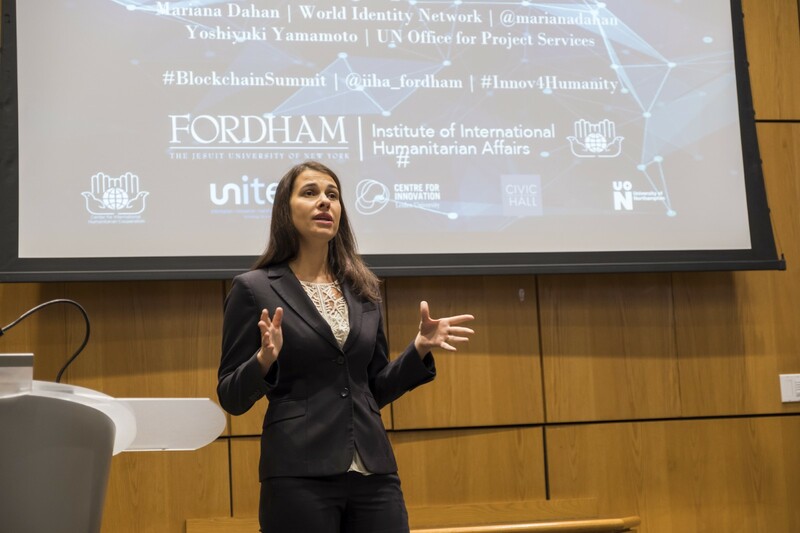 As an academic institution committed to more effective and ethical humanitarian response, we will be working with partnerships forged at the Summit to develop more concrete policy recommendations through the Blockchain for Humanity Initiative. As part of this effort, we are building a Community of Practice aimed at facilitating the exchange of best practices and lessons learned in the implementation of blockchain for humanitarian action and human rights. Both projects are under development and open to everyone who wants to support this idea. To know more about how to contribute, don’t hesitate to reach out. We hope this initiative provides the broader humanitarian blockchain community with concrete insights and lessons to equip practitioners with the knowledge needed to tackle structural problems with a humanitarian ethos. Only the honest sharing of how pilot projects succeeded and where they faltered will erode some preconceived ideas or irrational fears. Ultimately, embracing the original spirit of blockchain technology with humanitarian ethics and the utmost protection is the challenge before us. It is our hope that if harnessed properly, these technologies can make a significant impact and may even bridge the gap between humanitarian intervention and long-term development. Adopting distributed approaches in aid funding, planning, and delivery will require the broadest engagement and support from humanitarian, development, private and public actors: Join us in the challenge of making blockchain tech humanitarian by design. The authors want to thank Lara Llopis Gago, Noel Langan and Kayla Strauss for their contribution to this article. Humanitarian Pulse is published by the Institute of International Humanitarian Affairs at Fordham University. The IIHA educates the future generation of humanitarians in the classroom, shapes humanitarian leaders in the field, and innovates solutions to humanitarian challenges.